Place of silence. 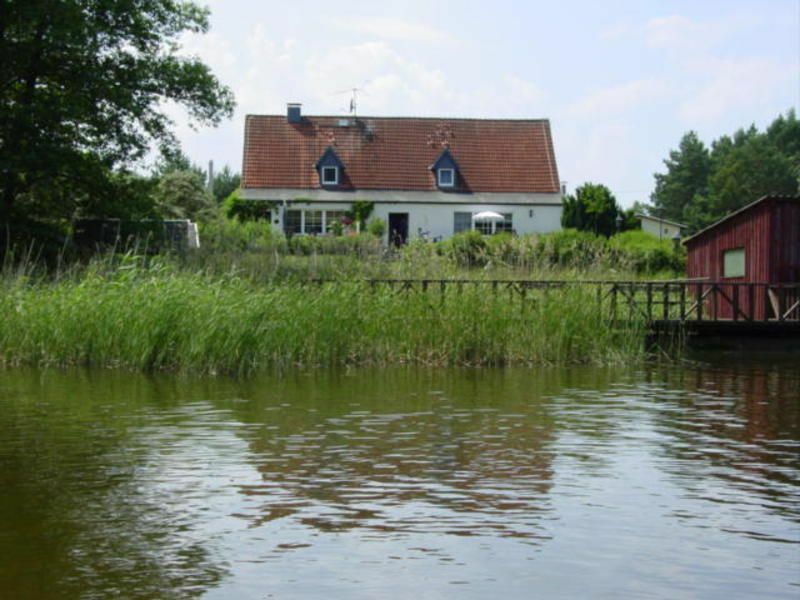 Our family-run guesthouse is located amidst the Müritz National Park, directly on the Görtowsee. On the large plot everyone will find his place for themselves. Directly on the water or on the jetty, at the fireplace or on the sun terrace. Enjoy your breakfast with homemade jams and lake views. You can choose dinner from a small daily menu. Please order your dinner for the arrival day if required. From our water access you are directly connected to the Havel and can start your tour from here by canoe. Also, we are right on the Radfernweg Berlin-Copenhagen. An ideal place to enjoy peace and to be active. Take advantage of our service! For the children we have a ping pong table and badminton games and a wide selection of board games and books. We rent kayaks and bicycles, rowing boats for fishing trips. You can also buy fishing permits directly on site. Our rooms are all lovingly and individually decorated and have at least one window with fly screen. Card payment is unfortunately not possible in our house. The journey to us is possible from 15 o'clock. Please contact us in time if you can only arrive after 6 pm. Wir haben uns ausgesprochen wohl gefühlt. Der Wohnwagen war für uns eine ideale Möglichkeit, die Ruhe und die wunderbare Umgebung der Pension zu genießen. Rudern und Paddeln haben ebenfalls dazu beigetragen, dass wir eine wunderbaren Kurzurlaub genießen konnten, ebenso die Freundlichkeit und Unkompliziertheit von Frau Dreier und Frau Krüger. Wir sagen nochmals herzlichen Dank und planen einen weiteren Urlaub an diesem Ort. Our guesthouse is idyllically located directly on the Grörtowsee and in the forest of the Müritz National Park - a place of silence. The next town is about 2 km. Shops can be reached in about 8 km.